Review ... Good location! Room was small. Hot water limited early in day. Worth more like 35 euros a night, not 70. 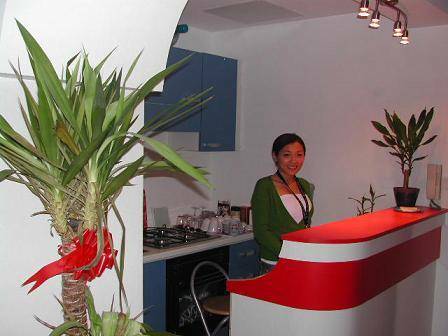 This nice Hostel is centrally located , in front of the Termini station, 5 minutes on foot. 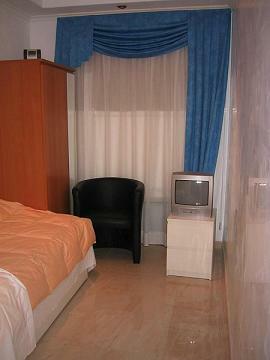 It is very near to the subway line and to the points of interest of Rome. 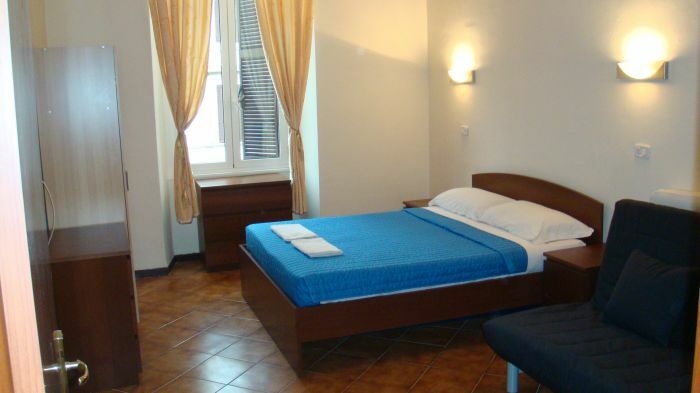 12 rooms in total, and any room has private bathrom, air conditioning, Tv, frigo bar. 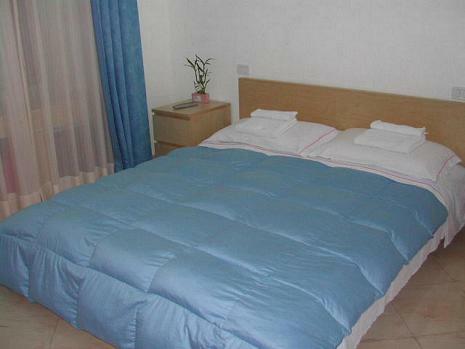 It is family-run, the rooms and the bathroooms are very clean and spacious. The BREAKFAST is including and is IN ROOM SERVICE ! The house is very quiet and peaceful (double-glazed windows), and is ideally located near Termini Station in a nice XIX century building with courtyard. Recently renovated, linen and towels are provided and there is hot water available 24 hours a day. Also included in the price is gas and electricity there are no additional costs. Its ideal position makes it an ideal starting point to visit Rome and its marvellous monuments. There is an open-air market every day which continues until 2pm where you can find loads of bargains. Also in the area are inexpensive laundries, bars and authentic Italian restaurants. We will be delighted to make suggestions on how to spend an unforgettable holiday in the Eternal City. NOTE: PLEASE INFORM OUR RECEPTION IN CASE YOU'LL CHECK-IN LATER THAN THE ARRIVAL TIMES YOU PUT ON YOUR RESERVATION. YOUR RESERVATION WILL BE CANCELLED IF YOU DIDN'T SHOWS UP 2 HOURS AFTER YOUR ARRIVAL TIME. reservantion without arrival time will be cancelled after 6. 00 pm. 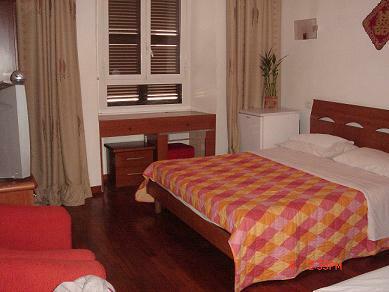 Rooms ensuite including: Towels, airconditional, internet wireless, private bathroom, tv sattelit, frigo. *Or also the Bus to Rome down town. From Termini Station it is very near, on foot it is only 5 minutes. Exit Termini Station from the left and that's Via Giovanni Giolitti. Subway: line A-B; All Bus for Termini station; all train for Termini station.